There are few things more refreshing than walking into a crisp, cool office on a hot day–it might even be the best part of your morning! Office air conditioners make the workday more enjoyable, and they can even increase productivity and focus. 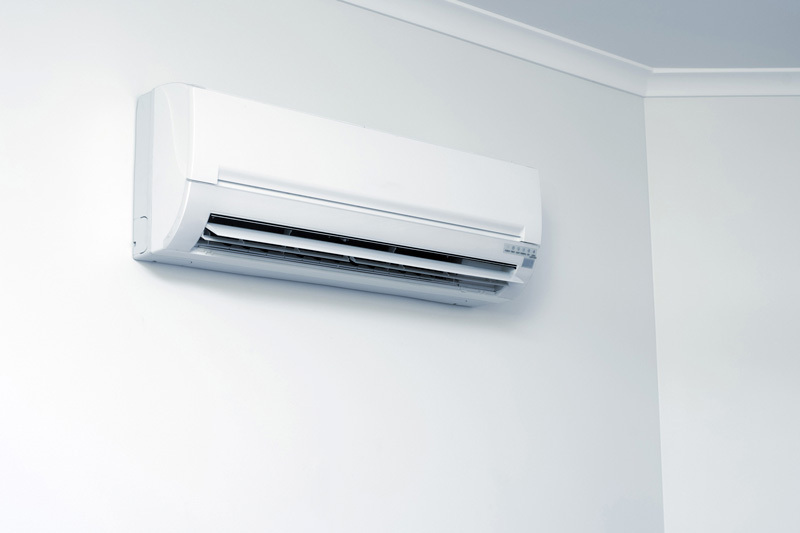 Air conditioners are there to keep you cool, but noises coming from your air conditioning unit are anything but comfortable. Ducts play an important role in your air conditioning unit. They are the pieces that keep cold air contained and flowing to the right areas. Over time, ducts can become damaged, cracked or warped, which can cause an unpleasant whistling noise. Not only is whistling an annoying sound when you’re trying to work, but it also means that air is escaping and your unit is not working as efficiently as it should. It’s best to call an air conditioning maintenance professional to fix issues with damaged ducts. They’ll have the expertise to determine whether your ducts can be repaired or if they need to be replaced. They can also advise you on costs and help you make the best decision for your office. Coils absorb heat and help cool your air, so they’re an essential part of your air conditioning unit. If coils are bent or broken, they can make a buzzing or humming sound. It should also be noted that coils should be cleaned regularly, as dirty coils make your air conditioner less efficient. Dirty coils aren’t able to cool air as well as clean ones, meaning your unit works harder and longer, and your energy bill gets higher. While coil cleaning is an easy fix that can be done by an air conditioning maintenance technician, bent or broken coils should be handled with care. If your air conditioner is making noise, your technician will likely check all parts of your unit, including the coils. If they notice bent or chipped coils, they’ll be able to advise the best plan to get your unit back to a quiet and efficient state. Filters are built to catch and collect the dirt and debris in the air. While this provides you with clean, filtered air, it also means that filters can become dirty more quickly than you might think. Arranging regular air conditioning maintenance is vital in keeping your unit working properly and keeping your filters clean so that you can enjoy fresh air in your office. When filters become full and blocked, air isn’t able to move through smoothly, which can result in a whining or whistling sound. Hiring air conditioning maintenance can mean the difference between a simple filter replacement and a full-blown breakdown. Make sure to have a professional stop by regularly to check your filters and prevent more serious problems with your unit. Air conditioners have a lot of moving parts, but not every part should be moving. Vibration from constant operation can cause screws to loosen and rattle noisily. Not only is the sound annoying, but loose screws can also mean the parts of your air conditioner are not as secure as they should be. For your unit to be as effective as possible, all parts need to stay in place and connect firmly. If you notice a rattle coming from your unit, the fix may be as simple as tightening a screw. If you can see a loose screw on the exterior of your unit, a quick twist with a wrench might fix your problem. However, there are many screws on the interior of your machine that may need a more practised hand. Call your air conditioning technician to check the connections within your unit. Apex Airconditioning can help you keep your office quiet and comfortable. We’re experts in commercial air conditioning maintenance and can arrange regular checks to keep your unit healthy and efficient. Our technicians are equipped to investigate problems both big and small, from a soft whistle to a clanking rattle. Have you found your air conditioner is too loud for your office? What plans have you put in place to fix it? To learn more about how Apex Airconditioning can help you, contact us today!